This week I have decided to post some information that will hopefully clarify any confusion about whether or not a wood burning stove needs sweeping or not. It’s been quite suprising to hear but I guess when they are installed not everyone bothers to read the manual/instruction from cover to cover a bit like not reading the entire instruction manual for a new TV or similar. Obviously installers are not always telling their customers that sweeping will be a routine part of its maintenance either it would appear. 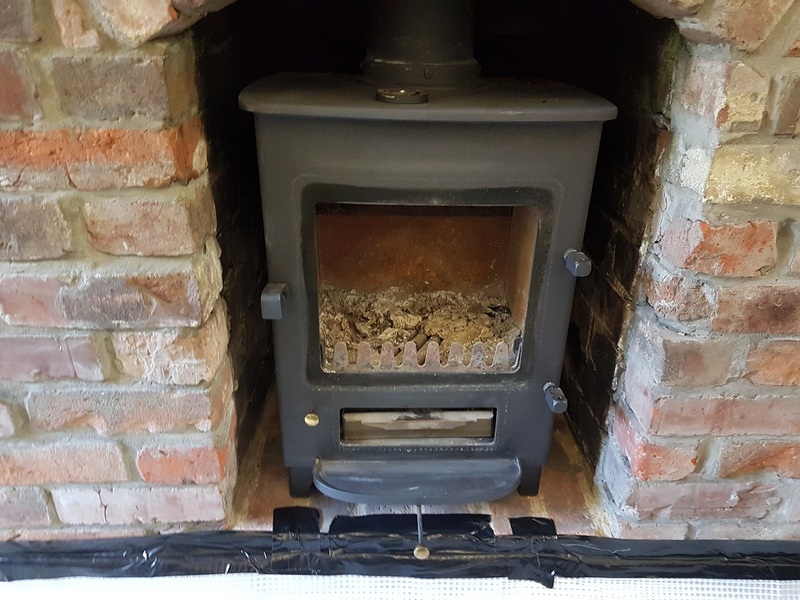 Wood burners and multi fuel stoves are no different from an open fire in regards to soot deposits building up in the flue ways or stainless steel flexible liners that many are now fitted with going up the chimney. Also, all burners have a baffle plate of sorts mounted just underneath the entrance to the flue and deposits from the flue and the burner itself can build up on this plate in a pile. If left uncleared this can potentially block the entrance to the flue leading to carbon monoxide fumes entering the home and also risk catching light and causing a chimney fire. This is why its essential to have a carbon monoxide alarm in each room where there is a solid fuel appliance of any sort. I can provide these on request or through my website. All instruction manuals that I have read relating to burners I have swept have a section on maintenance and refer to regularly clearing the baffle plate and having the flue way swept. Therefore to clarify the situation, all wood burning stoves and multi fuel appliances do need to be swept on a regular basis, at least annually I would suggest. Your Chimney Sweep will not only conduct a sweep and clear the baffle plate for you but also give the appliance the once over for any minor maintenance matters such as the fire cement around the flue join to the stove sometimes degrades and requires repair, similarly the fire rope around the door eventually perishes and requires replacement and the vermiculite fire bricks inside the stove can crack and fall apart. This is why it’s very important to be gentle when placing logs inside the combustion chamber or when poking the fuel with the poker and striking the bricks by mistake.